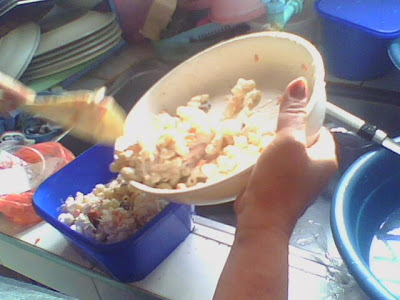 Home chicken mac salad recipe chicken macaroni salad holiday recipe mac salad macaroni salad menu my recipe new year recipe special dessert special recipe the rock's recipe Chicken Macaroni Salad for the New Year! Chicken Macaroni Salad for the New Year! 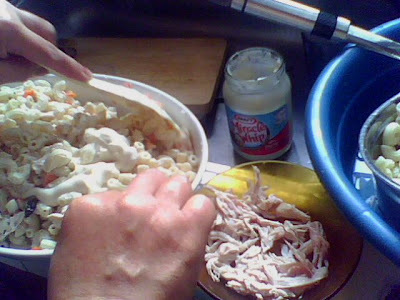 On the New Year's eve, one of the desserts we prepared and served was the chicken macaroni salad. 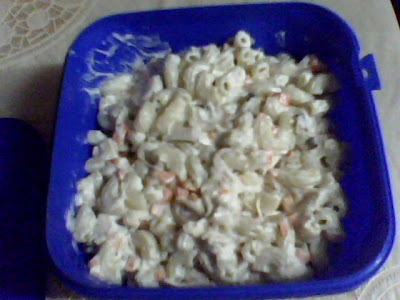 Besides the graham buko and mango desserts and buko salad, I told my mom to also serve a macaroni salad to give way to a non-sweet dessert. This is my first time to make a chicken mac salad! Since it's my first recipe, I'm not sure about all its ingredients. I text my teammate to confirm the ingredients. But I received no reply from her so I called my close friend. Thanks to my close friend. He gave me all the ingredients to prepare a chicken mac salad. He even instructed me what to do. 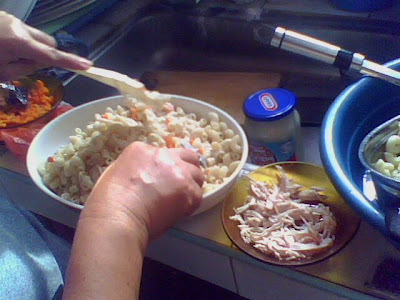 A followed my friend's instructions in preparing this chicken mac salad. 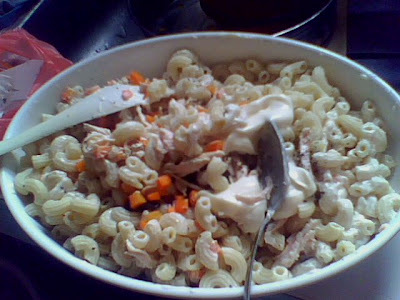 The ingredients were elbow macaroni, boiled chicken flesh, mayonnaise, powdered black pepper, chopped carrot, and dried grapes (pasas). Yup, there's no need for an all-purpose cream! According to him, they didn't used an all-purpose cream in preparing this said. Some people add an onion to it. But in our case, we don't like! Others even add pineapple chunks or cherries to it! When all these ingredients were complete, time now to mix them! When the mixture is finally complete, we can now place it in their respective trays and put in in refrigerator for cooling! Afterwards we can serve it! Oh I really love it! 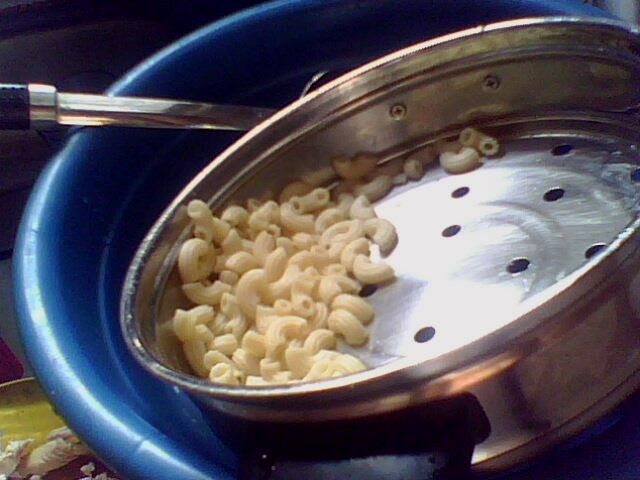 It tasted so good! Yup, this is more delicious than those I previously tasted from the other makers! My mom even like it! The New Philippine Peso Bill Designs! "11 For 11" - My 11 Top Plans This 2011! January 2011 - "Another New Beginning"! The Year of the Rabbit in the Rock Land! "10 of 10" - My Top 10 Accomplishment for 2010!